Today we rode from Hershey, PA to Gettysburg, PA, passing through the capitol of Pennsylvania: Harrisburg. The church in Hershey provided us with a nice breakfast with danishes and a delicious egg and bacon dish. 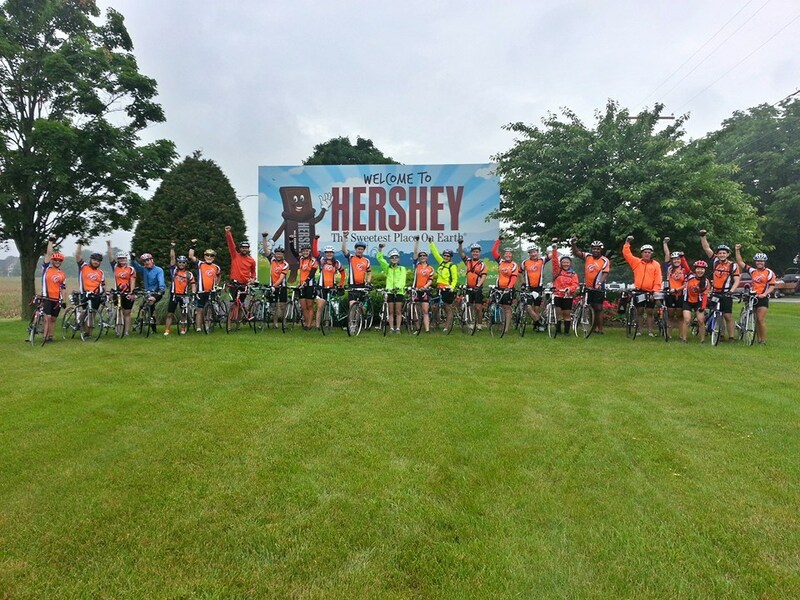 At the beginning of the ride all the riders went to a Hershey’s “Sweetest Place On Earth”billboard and took a picture with our bikes. On the first rest stop there was a long line for the restroom and by the time I got back my riding group had left! I managed to catch up by the second break. 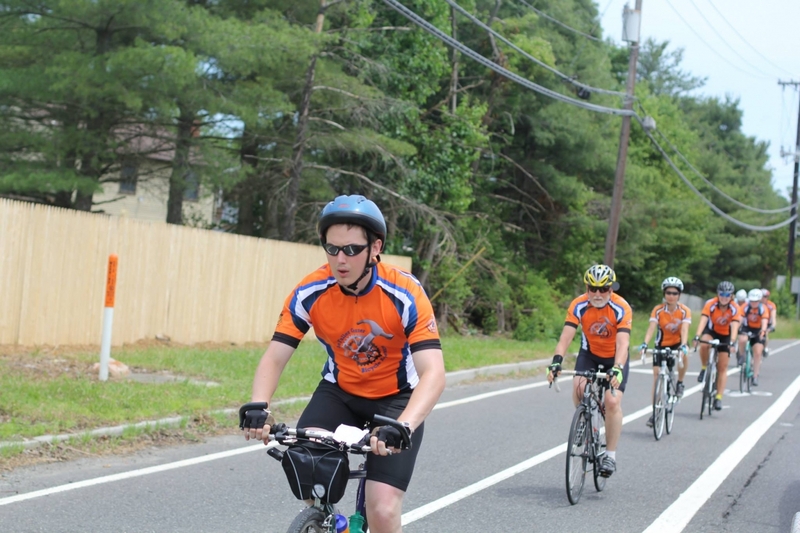 About half of the ride was quite hilly; a lot of shifting down and speeding up. I rode with Renee until the second rest stop. Then I caught back up with the group I rode with the previous day. I rode with Dani and Scottie for the last ten miles. After we set up in St. James Lutheran Church in Gettysburg. I went to a Malt Shop with Dan, Kristina and Monica. I had a Mushroom Bacon Swissburger and A Moose Tracks Shake. I then went to visit the Gettysburg cemetery with Lydia and Monica.